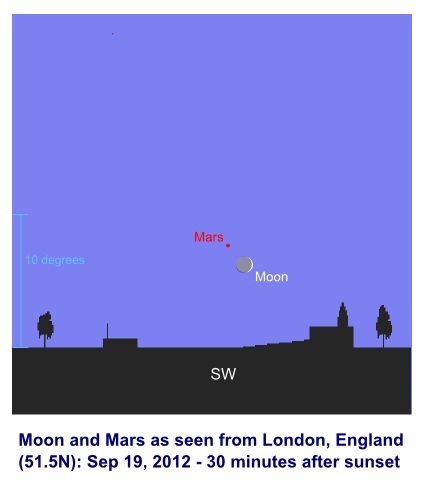 Mars remains an early evening object but now sets less than two hours after the Sun. With a magnitude of only 1.2, compared with -1.2 at last March's opposition, the planet is not so easy to locate in the bright evening twilight. However, an excellent opportunity to spot or image the "Red planet" occurs on the evening of September 19th when the 11 percent lit crescent Moon acts as a perfect marker. 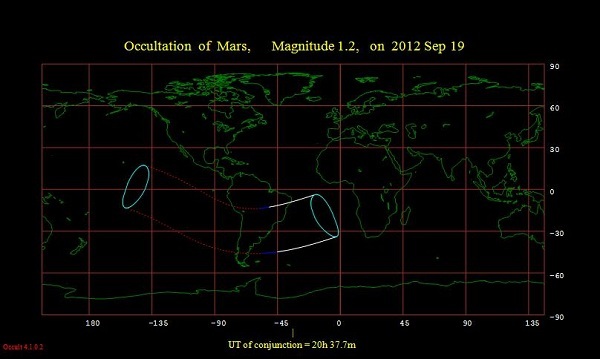 During this time, it will pass as close as 0.2 degrees south of Mars. If you happen to live somewhere between central South America and French Polynesia, an extra bonus awaits as an occultation is visible.